Up-and-coming heavyweight sensation Bobby Lashley has inked a deal with MFC that will have him fighting Mike Cook on May 15th at “MFC 21: Hard Knocks” at the River Cree Resort and Casino in Canada. HDNet will be airing the event live throughout the United States, Canada, and Mexico. Lashley’s agreement with MFC comes on the heels of Dave Meltzer’s report on Yahoo! Sports that the former WWE employee was in the process of collaborating with TNA, a Florida-based professional wrestling organization. Although his exact role within TNA has not been fully defined, it was noted that Lashley did not sign a contract with TNA in order to compete in MMA without legal ramifications. Lashley currently holds a perfect 2-0 professional mixed martial arts record, with his most recent win coming at the expense of Jason Guida at Roy Jones Jr’s “March Badness” event earlier this year. 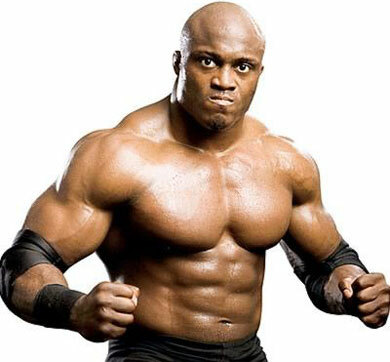 This will be a busy summer for Lashley, as he is also expected scrap with former Pride and K-1 fighter, Bob Sapp, at an event in Biloxi, Mississippi on June 27th.